Did you know that 8 years of content is added to YouTube everyday? Your content could easily be lost in the shuffle if it isn’t being tracked. 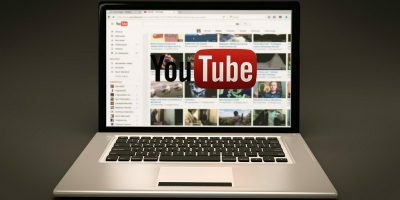 You probably know that YouTube replaced Insight, a tool that let publishers see detailed stats about their content, with YouTube Analytics, but you may not know how to use the new data. 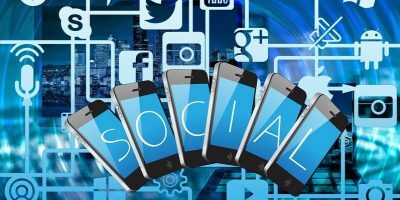 The new platform is visually very similar to Google Analytics and offers a more in-depth reporting experience, crucial to effectively leveraging your social media success. 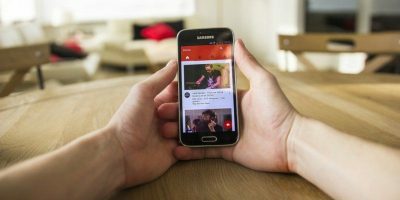 With detailed statistics of each video you post, you can build and publish content according to the demographic results, in turn generating more more views and shares. Upon logging into your analytics control panel, you will see your entire channels activity displayed for the last 30 days. A variety of maps, charts and tables will be displayed as a general overview of your audience. That is a lot of information to digest and in order to best utilize the data, you will want to filter the data into three main categories: Content Filter, Geography and Date Range. This filter allows you to search specific videos or all results that contain a specific keyword. 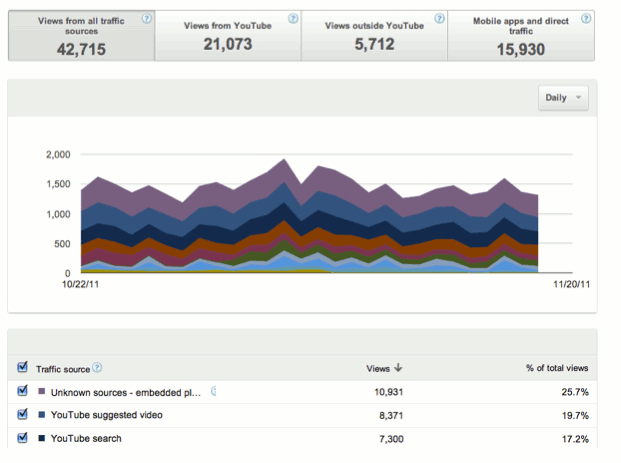 Select the video you want to see analytics for, and the data will change the charts to display just that item’s data. In this tab, you will see a break down by state, country or region. 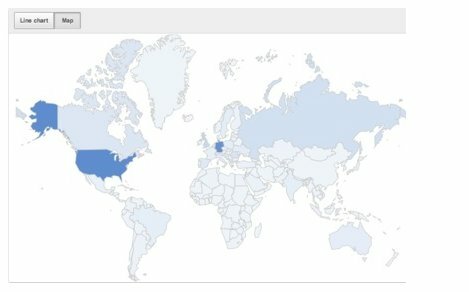 Viewing this kind of data isn’t just good for targeting your audience, it can be really cool to see that people all over the world are watching and sharing your content. As the title suggests, this tab controls the period of time you want data from. It’s always good to do week to week and month to month comparisons to make sure your channel viewers are interested and engaged in sharing your content. Note: If you want to return to the full channel view, simply click the x in each category box. 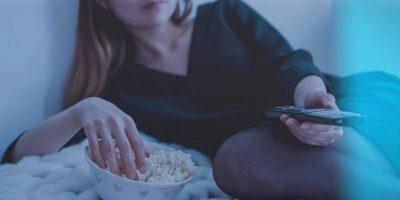 Here you will see the age, gender, geographical location of viewers as well as the playback location which, shows you where people are watching your videos online. Use this data to create follow up content that will attract higher view counts. This is definitely a report you will want to track weekly. 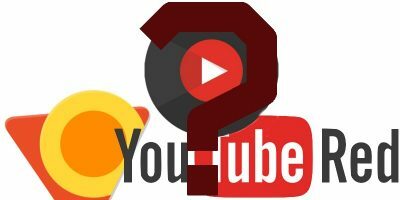 With insight into where views originated, you can determine if video’s are gaining exposure directly from your YouTube channel or if it has been embedded on a blog or social media site. To improve your audience retention rate, keep content length at approximately 2-3 minutes. Create interesting content that will grab the viewers attention from the start, and keep them focused and interested through the remainder of the video. 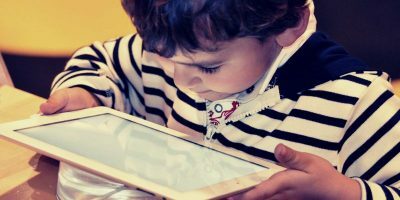 The Audience retention Report will show you how much of a particular video people tend to watch. This will be vital information as you create follow up content. Having and increasing subscribers is important, but learning what brought them to your channel to begin with is more important. 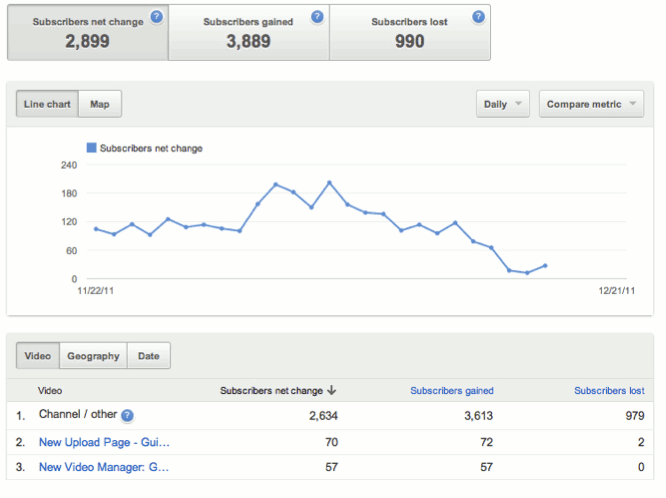 With the Subscriber Report, you will be able to see a list of subscribers and what video actually drove them to become subscribers. 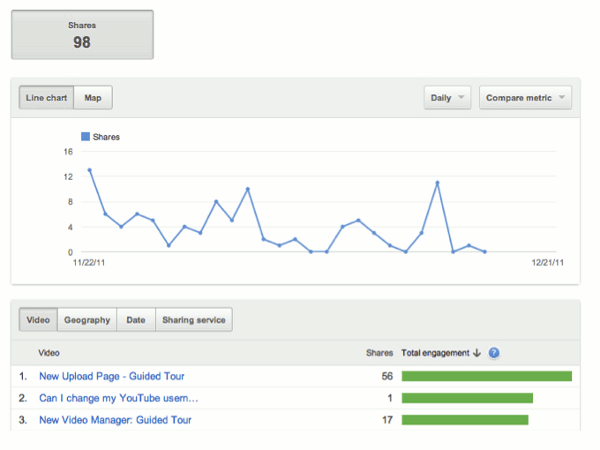 Again, this data will help you create like content to keep bringing viewers back. You will likely be tracking all the data you have collected about your channels and videos on a spreadsheet. Every report tab in YouTube Analytics has a “Download Report” tab in the top right corner of the screen. It will download your report into a CSV file to open and use in Excel or Google Spreadsheets. 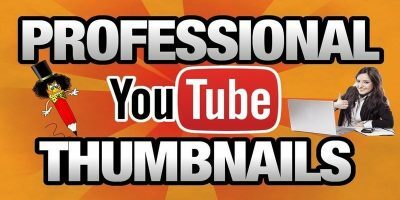 If you are thinking about monetizing videos using Google AdSense, the reports will show which videos are monetizable, and what your total estimated earnings would be if you chose to monetize them. With this type of comprehensive analysis, you will increase your channel traffic and continue to build bigger and better content if you use the reports to your advantage. There are so many ways to use this data. 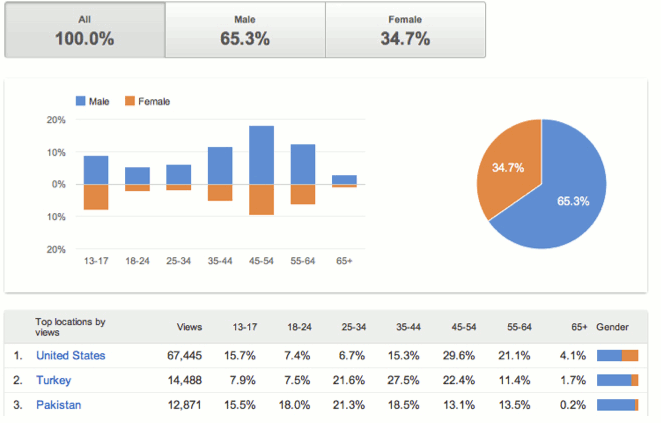 Let me know what part of the YouTube Analytics you would you like to see more in depth! Hi Jessica thanks for the article. 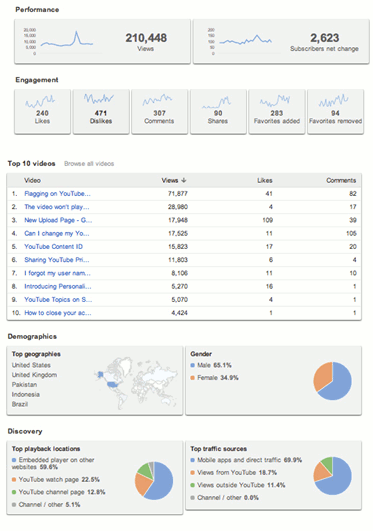 I am looking for a way to download detailed Youtube analytics data in csv format for more than 30 days at a time. I’ve had a Youtube channel for 9 months and want to download the full 9 months without separately entering in 9 different 30 day periods. Any ideas? Thanks for taking the time to ask a question, Victor. I haven’t done this myself, but in the Date Range, where it says “30 days” you can click to change the range. I hope there you will be able to pull the data for the whole 9 months or at least larger chunks of time to make it easier on you. Let me know how it goes! Where do the demographic numbers come from? Is it only from logged in users? Philippe, to my understanding the demographics are based on anyone who views your content. Obviously, there will be more specific demographics available if they are logged in through Facebook, Twitter, or their YouTube account. Hey Jessica, is it possible to download YouTube Analytics in a picturesque PDF format like you can with Google Analytics? It means more to my clients and is easier to read than a spread sheet satcked with figures. Thanks. Hi Jessica, Is there some way to filter out my own visits to my Youtube posted videos, so that my visits do not get included in the stats?